USANA, word! : Are our kids growing out instead of up? Poor diet and inactivity is pushing up childhood obesity rates worldwide. But here in sport-loving, Australasia, surely our children aren’t affected? Surprisingly, around one in four of our children is overweight or obesei and one study of overweight children in New South Wales found that they were actually one or two centimetres shorter compared with their healthy weight range counterpartsii. So, it seems that rather than growing taller, some of our children are falling behind and growing outwards instead of upwards! The types of food eaten combine with not enough exercise both contribute to overweight say nutritionists. Fast foods provide plenty fat, sugar and calories, but not much of the vital nutrients that children need for healthy growth and developmentiii including vitamins, minerals and fibre. Take white carbohydrates for example. White bread, buns and other items made from white flour have generally been stripped of their B vitamins which are needed for the body to use the carbohydrates effectively. Eating too many white carbs means that the body has to draw upon the stored nutrients. Wholemeal carbohydrates (in the form of whole grain breads, rice and noodles) are a better option because they retain much more fibre, B vitamins and iron. Kids and teens who are fast food eaters and fussy eaters may need extra vitamins and minerals to compensate for poor eating habits. Remember, no supplements can replace a healthy diet, though. Often labelled ‘empty calories,’ sugary foods and drinks provide energy in the form of calories, but not much else. Consuming too much of the white stuff can dull the appetite for healthy foods tipping the balance of the diet towards unhealthy. One nutrient that can suffer as a result is iron. This mineral is essential for healthy blood which in turn is required for healthy growth and development. Iron deficiency is already pretty common amongst children and teenagers in Australia and New Zealand. So, encourage toddlers and older children to eat iron-containing foods such as lean red meat, poultry, fish, fortified cereals and bread, and vegetables such as broccoli. Gram for gram, fat provides more than twice the calories of carbohydrates and sugars and this important nutrient is the perfect calorie store. The body has evolved to value fat as a source of energy during times of famine – essential for times when food was short for our the hunter-gatherer ancestors. But today, eating too much fat is contributing to the explosion of overweight and obesity in our children. Carrying too much body fat is linked with the increased risk of developing chronic conditions later on, such as type 2 diabetes and heart disease. Studies also show that our children tend to be short on omega-3 fats, essential fats which are a must for healthy development. Get the balance right. You don’t have to avoid fast foods entirely – just balance them so that the rest of the meals your child eats throughout the day are made from fresh and healthy ingredients. Go for nutrient-dense foods like fruit, vegetables, wholegrains, fish and lean meat, dairy or calcium-enriched soy products. Focus on fresh. Encourage your children to get the most from what they eat by opting for healthy meals made from fresh ingredients. Offer a wide variety of food. Approach portions with caution! Child size portions are important – aim for around a third or a quarter of a healthy adult-sized portion. Encourage exercise, too – children are designed to be active so opt for an hour of exercise daily. If your children haven’t exercised for some time, check with the family doctor and start slowly, building up ideally to an hour of activity daily. 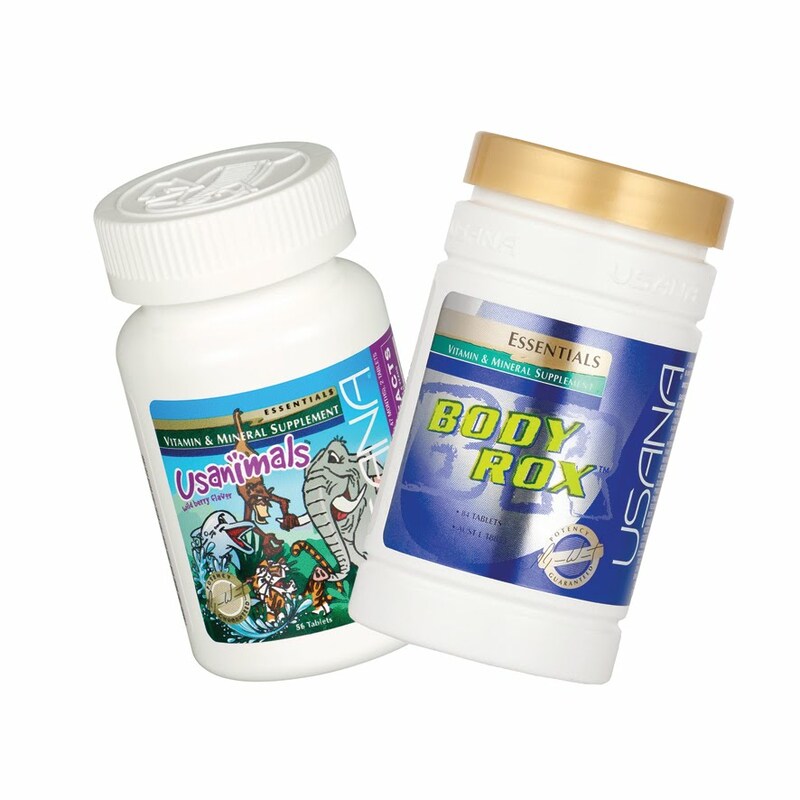 If your child could benefit from a vitamin and mineral supplement, a food supplement such as USANA’s UsanimalsTM could be a good option. 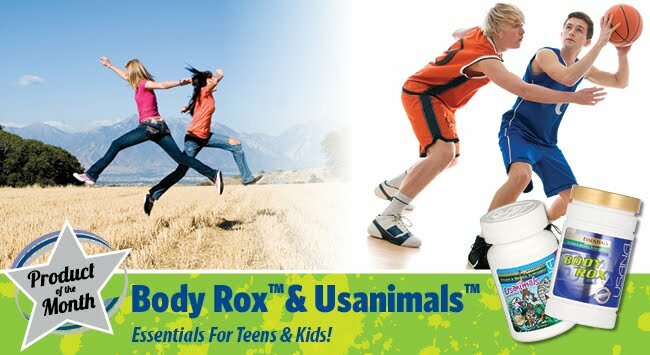 Usanimals* contains an excellent range of the essential vitamins (including B vitamins), minerals (including iron), and antioxidants (found in fruit and veggies) your child needs for healthy growth and development. It’s a balanced formula that supports healthy growth and development in children. Usanimals is suitable for children aged two to 12 years. Keep vitamin supplements away and out of reach of children. As your child grows, it’s normal for to gradually make more and more personal choices and that includes choosing what they eat. There is no simple test for nutritional deficiencies in children and teenagers, but things to look out for include: irritability, sleep problems, slow wound healing and frequent colds and flu. The teenage years are also ones of massive change – physically with sexual maturation, skin changes. So, a daily nutrition supplement may help to bolster teens’ growing needs. *Vitamin supplements should not replace a balanced diet. USE ONLY AS DIRECTED. ALWAYS READ THE LABEL. This product contains selenium which is toxic in high doses. A daily dose of 150 µg for adults of selenium from dietary supplements should not be exceeded. Contains sugars. Choking hazard – not suitable for infants or toddlers less than 2 years old. **Vitamin supplements should not replace a balanced diet. USE ONLY AS DIRECTED. ALWAYS READ THE LABEL. This product contains selenium which is toxic in high doses. A daily dose of 150 µg for adults of selenium from dietary supplements should not be exceeded.